‘Tis the Season’ to get started for your upcoming holiday fun – So, here’s a heads-up on new items and activities I am super excited to share with you today. Container Crazy CT has new workshops being offered in 2016, gift cards available for the holidays, and more. Container Crazy CT has new “Gift Cards” available for purchase. They are redeemable towards workshops, onsite consultations, container garden gifts, or seasonal plants. Perfect for the friends and family members in your life who enjoy DIY classes, plants, gardens, containers and art fun. 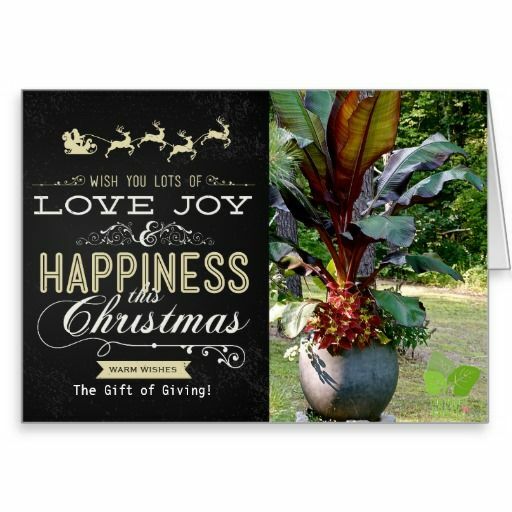 The card has a beautiful holiday theme cover with a colorful container garden photo. Laura Sinsigallo of timefliesbylauralie is returning as a guest speaker in 2016. We had such a wonderful time learning how to make her unique and eclectic wind chimes the last time she was here and she enjoyed teaching our group. As you know, Laura Sinsigallo has many talents from paintings to cute figurines for special holidays – she is a very creative person. Her program will be in April 2016 and the special Art Work to be made in class will be announced very soon. Mandy Mayer of jemshorticulture.com will be our new speaker at our 2016 workshops. 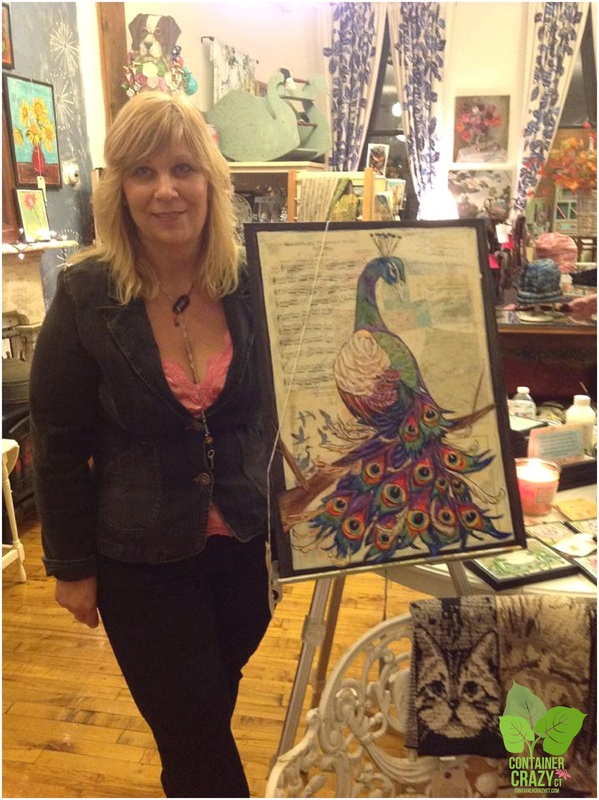 I am so excited to have her join our list of guest artists. 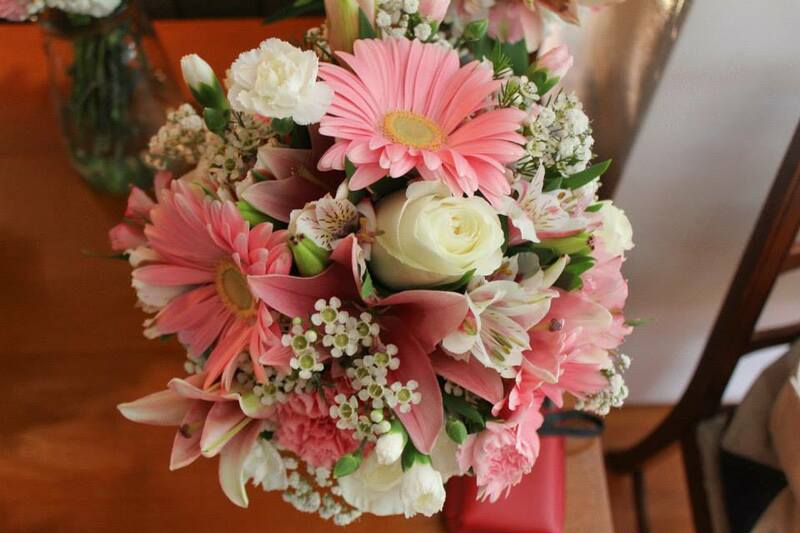 She designs beautiful bouquets and floral arrangements for weddings and special events. Her business is called “JEM’s Horticulture and Floral Design” located in Stafford Springs, and you won’t want to miss this workshop. We plan to have her program offered in February 2016. Stay tuned for details. Photo by M. Mayer, Floral Designer located in Stafford Springs, Connecticut. The first class is full, the supplies are ordered, and the workshop space is being adorned! So excited to have NEW and REPEAT attendees coming. If you were unable to sign up for this class, mini workshops are offered during the week following the first workshop date of 12/5. And don’t forget to bring your own florist wire and decor to adorn your balls, wreaths, etc. Looking forward to seeing you! If you would like a handmade wreath or kissing ball, please don’t hesitate to ask. And don’t forget to visit my Pinboards and Instagram pages for inspirational ideas. It’s time to get your jingle on.